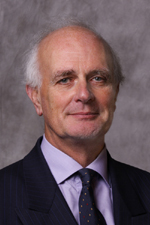 Sir Nigel Teare was called to the Bar by Lincoln’s Inn in 1974. He was Junior Counsel to the Treasury in Admiralty matters from 1989-1991 and in 1991 was appointed Queen’s Counsel. He was a Recorder of the Crown Court from 1993-2006 and an acting Deemster in the High Court of the Isle of Man and in the Staff of Government Division (Court of Appeal) from 2000-2006. He was the Lloyd’s Appeal Arbitrator in salvage disputes from 2000-2006. He was a deputy High Court judge from 2002-2006. He was made a Justice of the High Court (Queen’s Bench Division) in 2006 and was nominated a judge of the Commercial and Admiralty Courts in 2007. In 2011 he was nominated the Admiralty Judge and in 2013 he was appointed one of the Presiding Judges on the Western Circuit. He is also the Judge in charge of the Commercial Court (since October 2017).